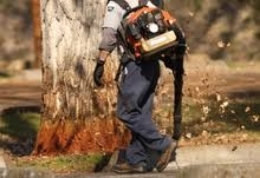 Lawn and Landscape Maintenance for residential and commercial property managers. Indianapolis homeowners and commercial property managers understand that it is just not enough to have to invest in a beautiful landscape, but also know that nurturing and protecting that investment is just as equally important. FC & AC Lawn and Landscaping offers a wide variety of lawn and landscaping services to help keep your yard look its best. Bed Edging allows us to define your mulch bed edges and provides a physical barrier between your lawn and landscape bed area. FC & AC Lawn and Landscaping can enhance the exterior finish to your home or building by installing trees and shrubs. We can help you with the right tree for the right location.